Vietnam’s recently adopted Law on Cyber Security does not undermine the people’s rights to freedom of speech and expression but rather facilitates the ability for its citizens to legally exercise those rights, said Vo Van Thuong, head of the Vietnamese Party’s Central Commission for Propaganda and Education. 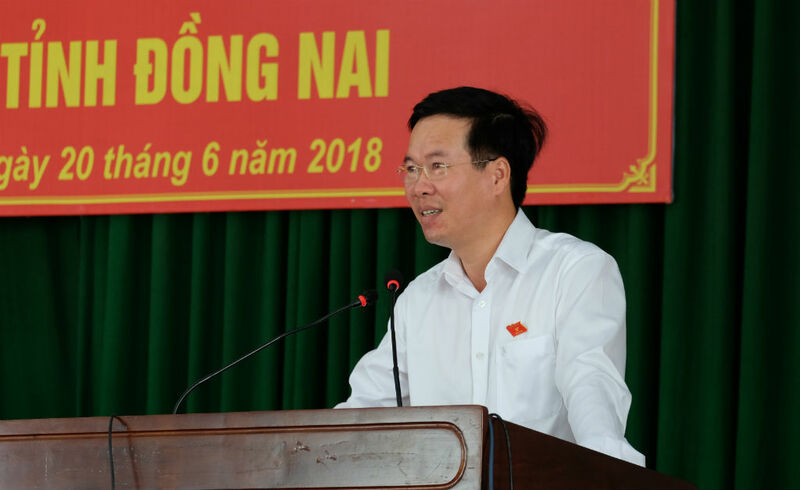 Thuong’s comments were made in a speech given to voters in the southern province of Dong Nai on Wednesday afternoon. According to Thuong, also a member of the country’s lawmaking National Assembly, continuing advances in information technology demand the development of legislation to govern cyberspace and safeguard national security, social order, safety, and the legal rights of Internet users. “I must underline the fact that the Law on Cyber Security does not infringe upon citizens’ rights to freedom of speech and expression,” Thuong said. “By contrast, it actually facilitates the legal exercise of these very same rights. “Everybody reserves the right to speak their mind, but it must conform to provisions of the law. Freedom is not doing whatever we like,” he explained. Last Tuesday, Vietnam’s legislature voted overwhelmingly to pass a law on cyber security that regulates all activities that “protect national security and ensure public safety and order on the Internet." The 43-article law, divided into seven chapters, will come into effect on January 1, 2019. The legislation requires all foreign Internet-based service providers to open representative offices and data centers in Vietnam, where the information of their Vietnam-based users must be stored. An article in the law grants the country’s Ministry of Public Security the power to demand access to any organization or company’s data system for investigation into cases where there is a perceived threat to national security and public safety. Online services, including Facebook, Google, and YouTube, will be required to remove ‘anti-state,’ ‘offensive’ or ‘instigating’ content from their platforms within 24 hours of receiving a request from the ministry, according to the law. Nguyen Phu Trong, General Secretary of the Communist Party of Vietnam, also stressed the significance of the cyber security law when he met with voters in Hanoi on Sunday. “There are people who take advantage of the Internet to instigate protests and disruptive behavior aimed at overthrowing the government,” he said. “We need this law to protect this regime,” he stressed.